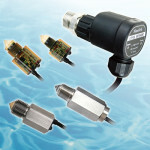 The FG Series is a magnetic float level transmitter comprising a float and sensing guide rod. The float is sized (volume and weight) based on the density of the fluid to be measured. As the liquid in the vessel travels up and down, the float will rise and fall on the sensing rod. The magnetic float level transmitter has a resistance output directly proportional to float position, fluid level. 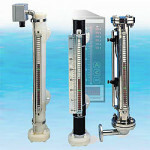 Categories: Level Transmitters, Liquids, Marine Certified. 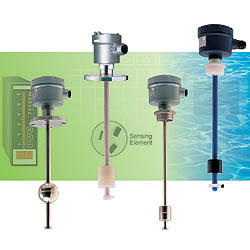 FG series are magnetic float level transmitter devices using the principles of buoyancy and magnetism to generate a changing electrical output in response to the rise and fall of the float on the sensing guide rod. 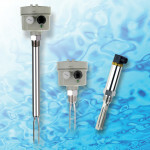 The magnetic float level transmitter provides a 3-wire resistance output or can be equipped with an appropriate level transmitter to provide a 4-20mA analog signal indicating liquid level. 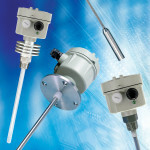 The sensing guide rod includes a series of reed switches along the entire measuring length. Placement of reed switches provides either of two possible measuring resolutions. Minimum fluid density of 0.45 S.G. The SD Series optical level switch uses the principle of light reflection in a prism to sense the absence or presence of a liquid at the point where the sensor is installed in a tank, pipeline or other type of container.